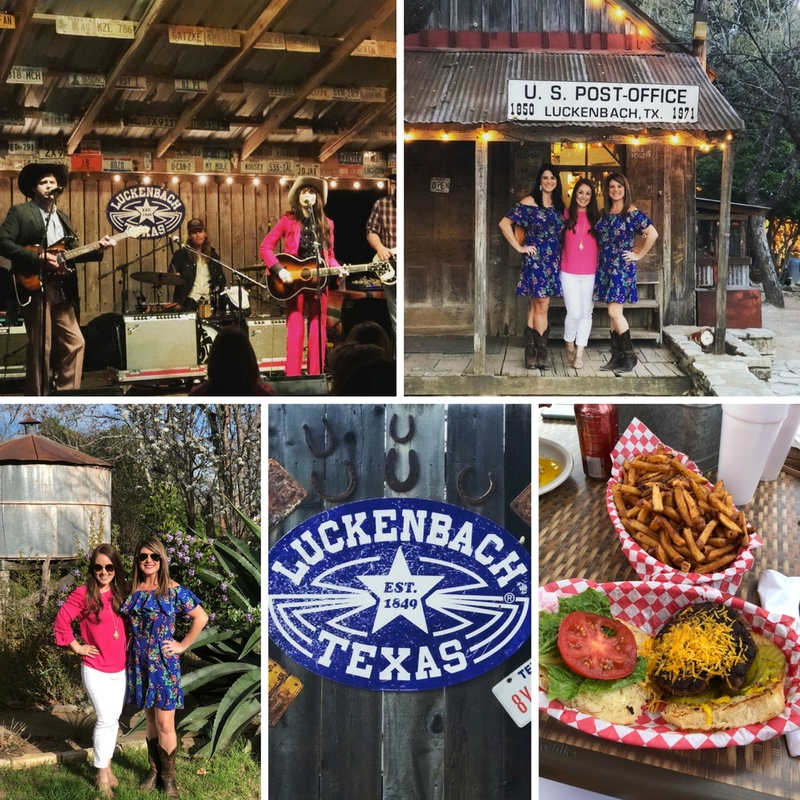 What better way to celebrate the first day of Spring than to share with y’all the details of my Texas Hill Country getaway with a few of my girlfriends. This trip was just in time and a MUCH needed get away to Fredericksburg for all of us. 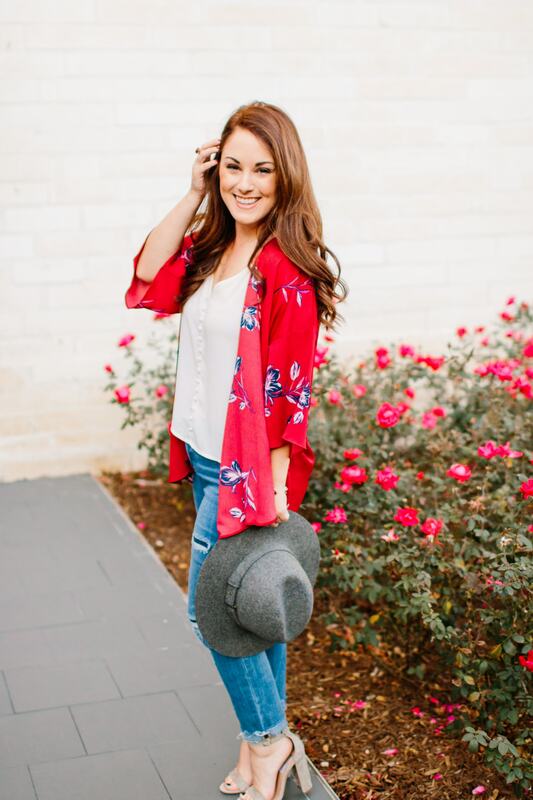 Looking back over the last three days I can’t believe all of the fun we had and I have outlined each day in detail for y’all so you can start planning your Texas Hill Country getaway this Spring asap! Y’all our days were filled with fabulous food, beautiful wineries, shopping and each day ended in the living room of our VRBO cozy Texas Hill Country cottage enjoying a glass of wine. Hold on tight because I’m sharing all the details over the next three weeks! 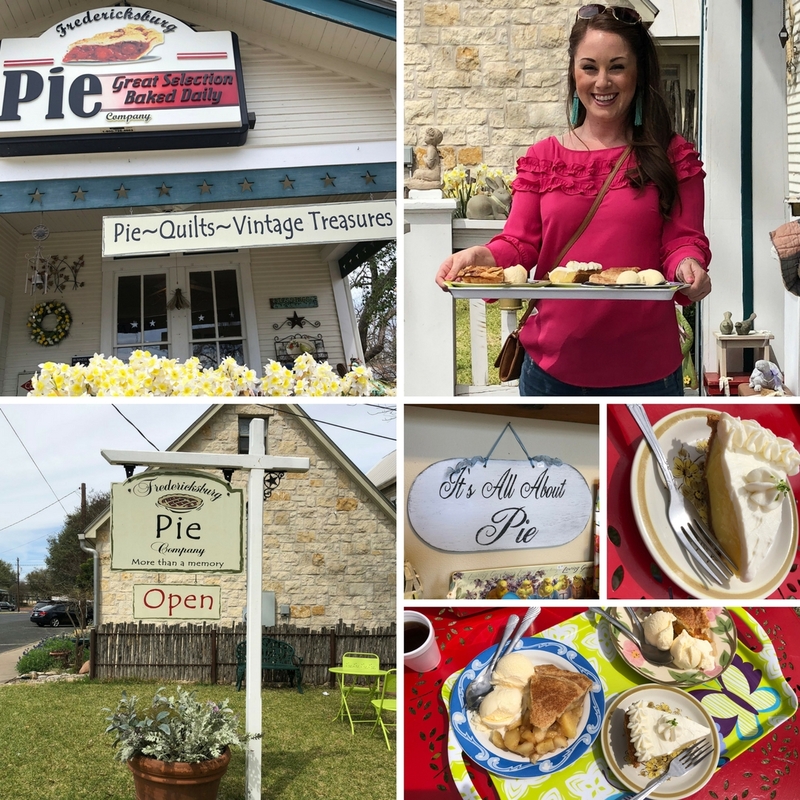 I’m kicking today’s blog post off with a recap of our first day in Fredericksburg. DAY 1: Our caffeine fueled send off from College Station was filled with excitement and a minivan (aka Olaf) packed from floor to ceiling in suitcases and best friends. You know when you haven’t seen your besties in a few weeks and you just can’t talk fast enough, you talk over each other and laugh so hard you hope you don’t pee in your pants… that’s pretty much the theme for the weekend in a nutshell. 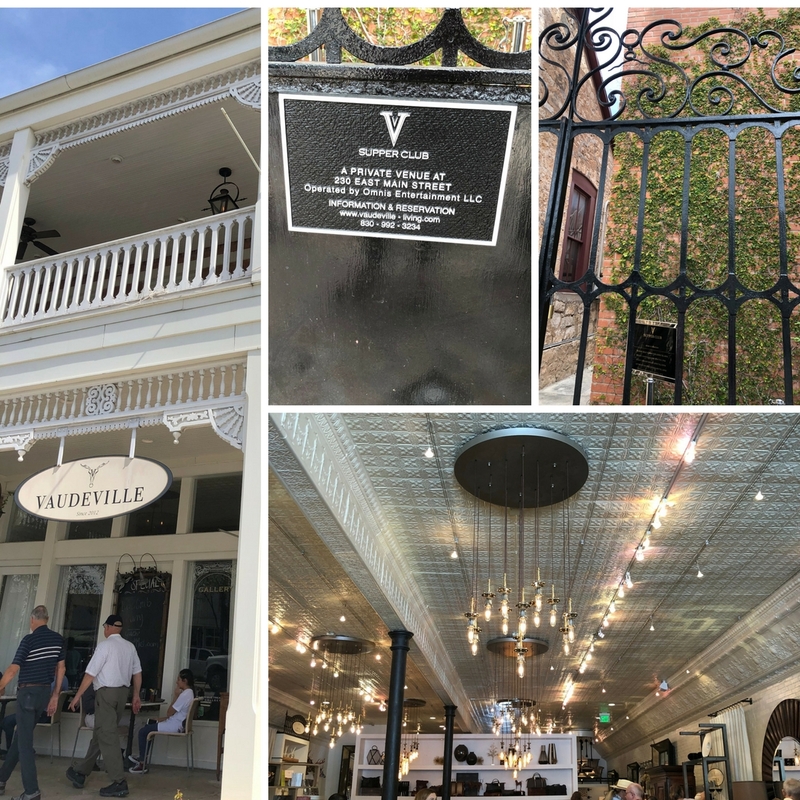 We made our way through Austin, Dripping Springs, Johnson City and finally made it to our first stop in Downtown Fredericksburg at Vaudeville Bistro for lunch. The original ceiling tiles and retro light fixtures created a unique dining experience that matched the gourmet food. 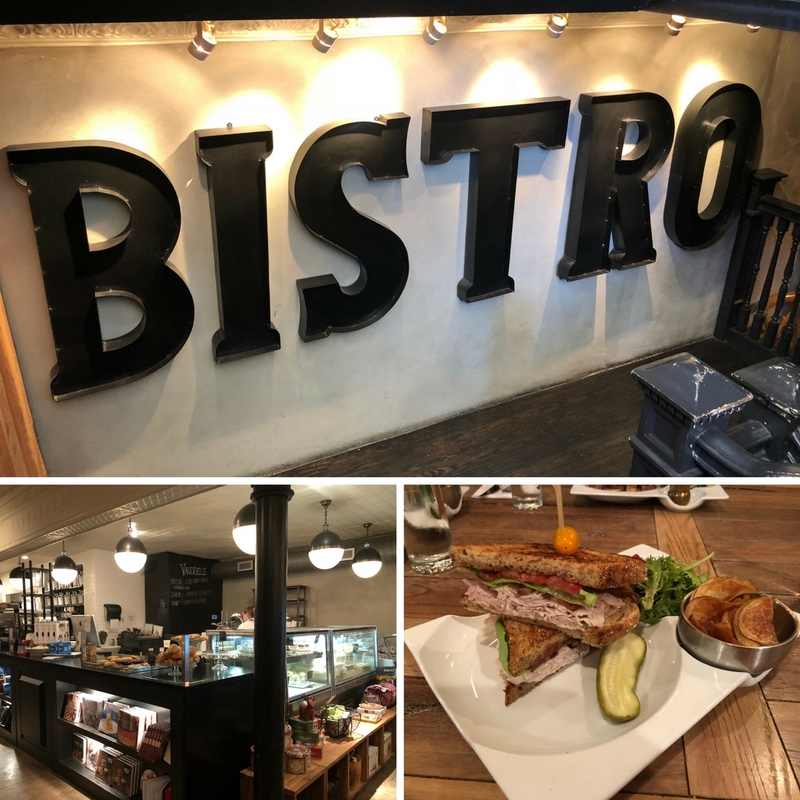 In addition to the culinary experience, the Vaudeville also offers a market, wine store, home and gift retail store and art gallery – even a supper club, all spanning over three floors of this Fredericksburg Downtown landmark. What’s lunch without dessert, I say… After lunch we took a short walk over to the Fredericksburg Pie Company to enjoy heavenly slices of pie with a jolt of pecan flavored coffee. Get there early because when they are out y’all, they are out. We chose an assortment of flavors from peach, to apple and my personal favorite key lime! With our bellies full we decided that the afternoon would need to include some walking, ok a LOT of walking…and shopping of course. 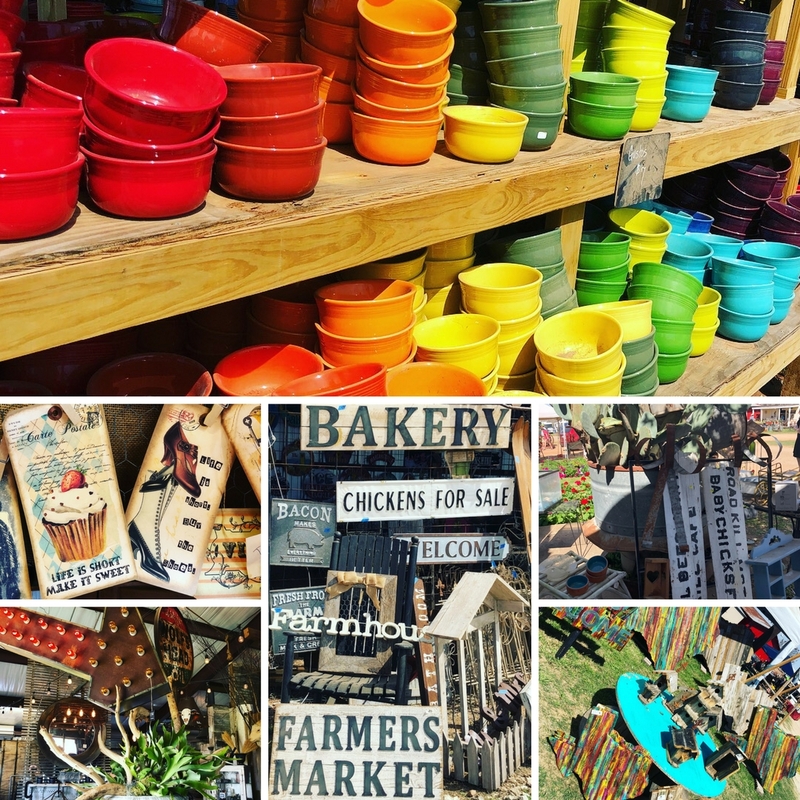 We were in luck, the Fredericksburg Trade Days were in full force and we couldn’t wait to get there to see what treasures we could find to take home. On the 3rd Saturday of each month you can walk through the Trade Days searching for antiques and collectibles. Side note, make sure and pack comfortable shoes, bring recyclable bags or even a “canton cart” to carry out your finds. You will need cash to park and maybe even a cooler of water to stay hydrated. Grape Creek Vineyards was nearby so we decided to take a shopping break to go enjoy a glass of wine on the back patio and the beautiful landscapes surrounding Grape Creek Vineyards. 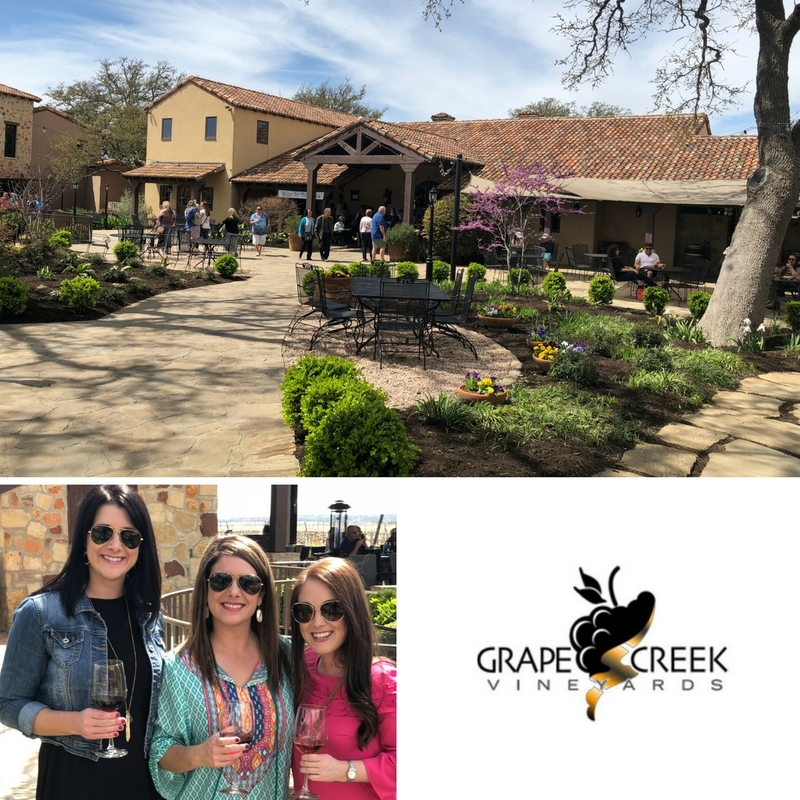 If you plan to visit and tour Grape Creek Vineyards on a Saturday you will need a reservation for the tour. Since we dropped in on a Friday we just grabbed wine by the glass and did not do the tour. Instead, we enjoyed sitting on the patio and taking a relaxing break from all of the eating and shopping that filled most of our day. Grape Creek also has a wine tasting room in Downtown Fredericksburg, which I would recommend doing. This then allows you to have the option and time to substitute in another full wine tour, maximizing the wine tasting selections! Priorities! After a quick afternoon siesta we were refreshed and ready to put on our dancing shoes for a concert at Luckenbach, TX. This is a Texas sized backyard with a dance hall that will make your feet hurt the next day. We made a quick pit stop for burgers at Alamo Springs Cafe for burgers that even Texas Monthly raved about… side note get the jalapeno cheese bun and don’t be afraid to add a fried egg on top! You won’t be disappointed! If you have the time stop by the Old Tunnel State Park on your way out to see the Mexican free-tailed Bats in an old abandoned railroad tunnel it’s also a must see. The saying goes “Everybody’s Somebody in Luckenbach.” We quickly found our place at a rustic picnic table in Luckenbach and of course we took the classic photo in front of the Luckenbach Post Office. It was an evening full of laughs, singing and laughing…. and most importantly, the much needed girl time! It’s hard to believe we did all of that in one day… I’m exhausted just typing it y’all, but the adventures were worth it. Check back tomorrow when I recap Day 2 in the Texas Hill Country! 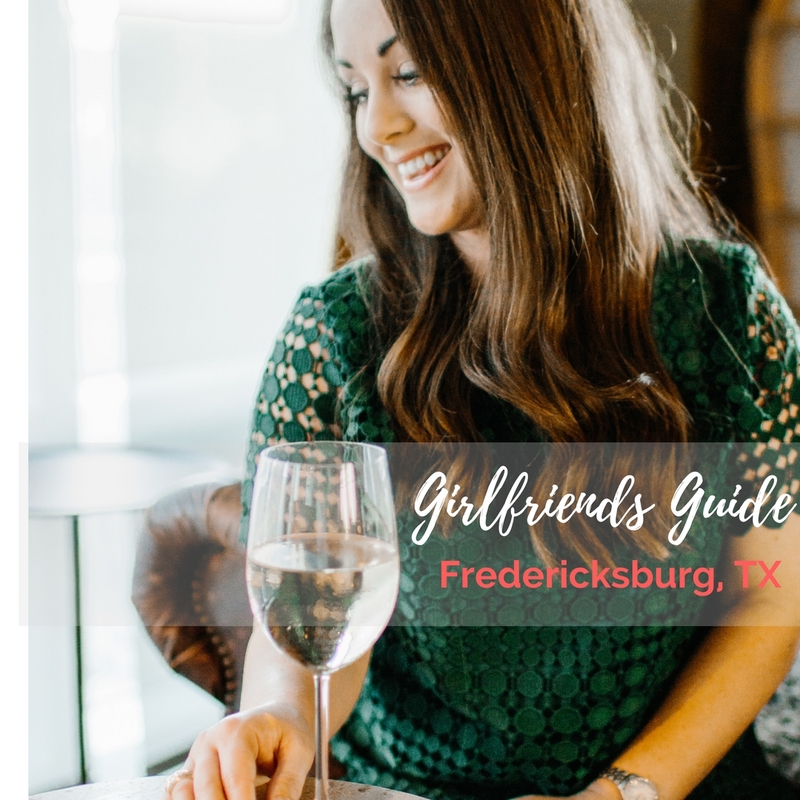 We tour two wineries and eat our hearts out at some amazing restaurants in Fredericksburg, TX… oh and I’m sharing all the details about our cozy Hill Country cottage that we rented through VRBO!